Reader Russell sent me the link to this wreck and it reminded me that I haven't featured a "proper" wreck for a while. So here are a couple of projects for serious wreck revivers. 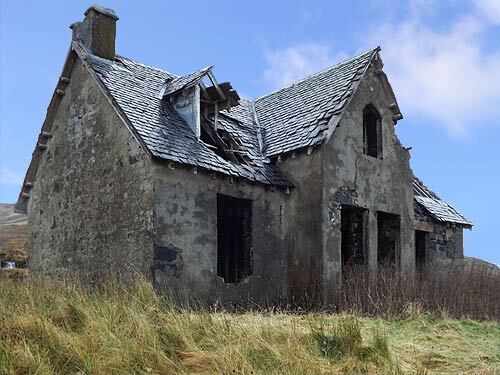 The Old Schoolhouse, above, is a one-and-a-half storey stonebuilt former schoolhouse in the middle of nowhere on the Isle of Skye. The views are stunning and the building comes with around an acre of croft land, bordered by a burn with its own waterfall. The building is pretty much a shell - with holes - and there are no connected services. You'd need to look at the cost of renovation against demolition and rebuild but the building is a handsome shape and it'd be a real shame to lose that traditional, gender-divide two-door school entrance. 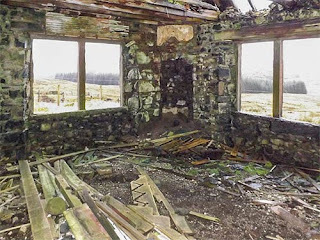 It's in the area of Glenmore, around five miles from Portree. 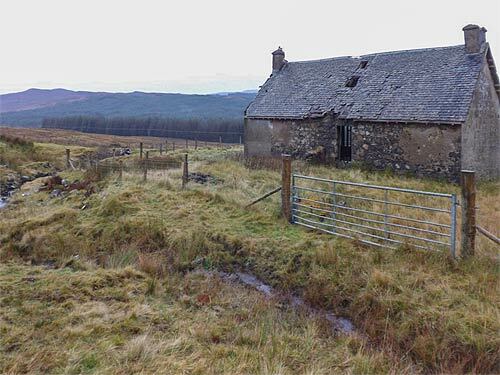 The Old Schoolhouse is on the market through The Isle of Skye Estate Agency at offers over £65k. More details here. 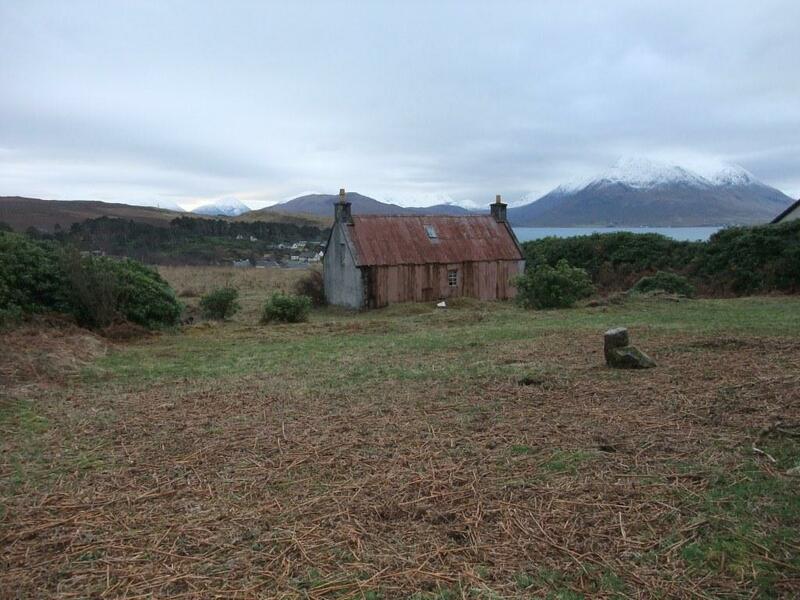 The Skye Property Centre has the rather less handsome wreck, below, for sale. It's on the Isle of Raasay, off the east coast of Skye. The property is being sold as an owner-occupied croft with around two acres of croftland, plus additional grazing rights and the derelict crofthouse you can see in the picture. 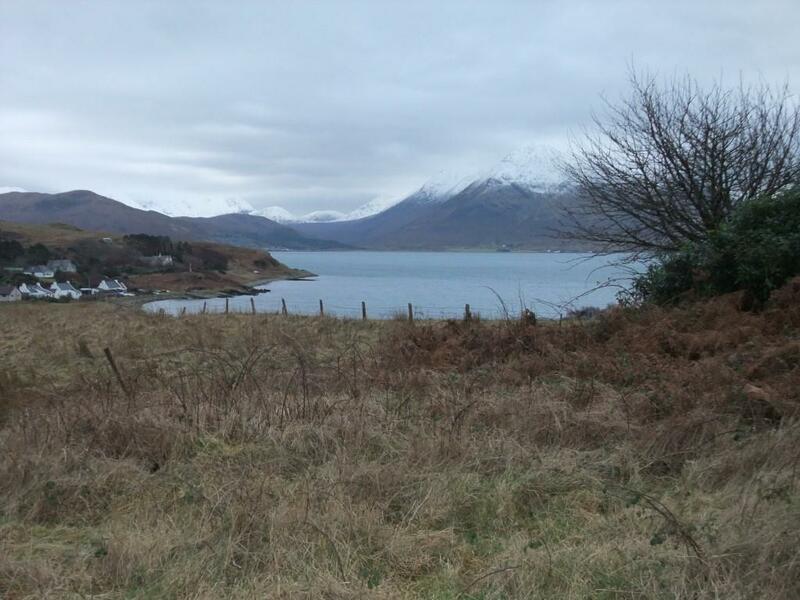 Raasay is pretty wild and (so far) underdeveloped - a few houses, a shop and a hotel; reached by ferry from Skye, and great for walking. 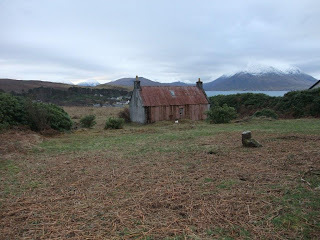 The house looks out across the Sound of Raasay to Skye. It's a stunning location. No 4 Mill Park is on the market at offers over £60k. Details here. Location is IV40 8PA.